We've reviewed, scored and now round-up the 41 best lenses for Micro Four Thirds cameras, we think, you can purchase right now. 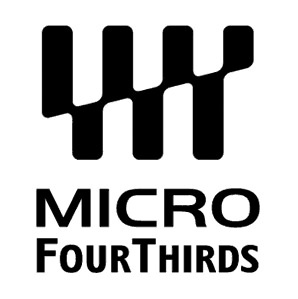 The Micro Four Thirds system is an open system that anyone can join, and therefore there are cameras and lenses from a large range of companies, all sharing the same lens mount. For example, you can use Olympus Micro Four Thirds (sometimes shortened to MFT or M43) lenses on Panasonic cameras, and vice versa. 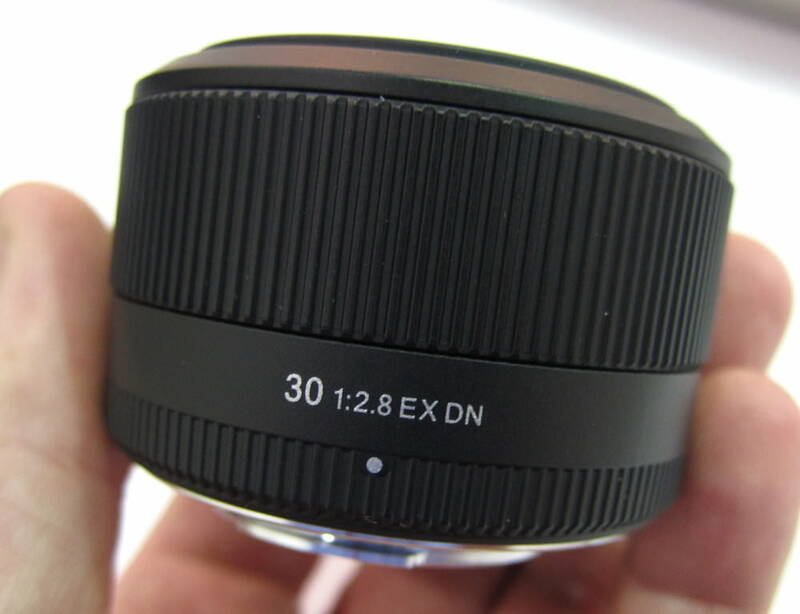 You'll also find Micro Four Thirds lenses made by Sigma, Samyang, Voigtlander, Leica and many others. 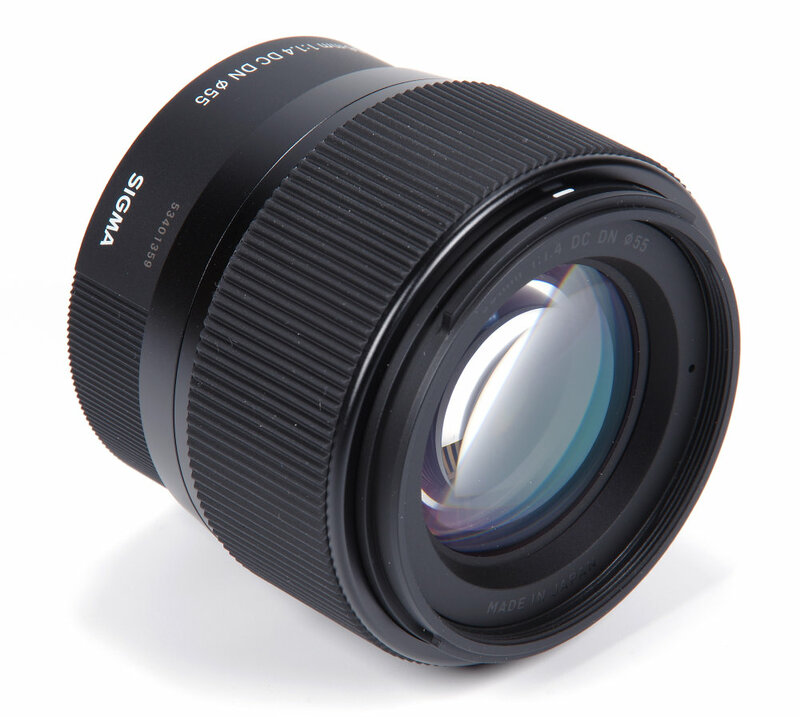 In fact, there are now so many M43 lenses, we've picked out the best 41 scoring lenses we've reviewed, to date, so you can make a more informed choice when spending your money. If you want to, you can purchase/find more information about each lens listed by clicking the green Amazon buttons featured below each product. It doesn't cost you anything extra when you press our Amazon buttons but by using our Amazon Affiliate links when ordering anything online, you are supporting the site - thank you. Why Is My Favourite Lens Not On The List? This is because we've either not reviewed it, yet, or it's simply not scored high enough in its review with our lens specialist to be featured in the countdown. * Clicking 'Buy on Amazon USA' will redirect you to the Amazon store for your country. If you are in the UK please use the 'Buy on Amazon UK' button. 1. Leica DG Nocticron 42.5mm f/1.2 ASPH. 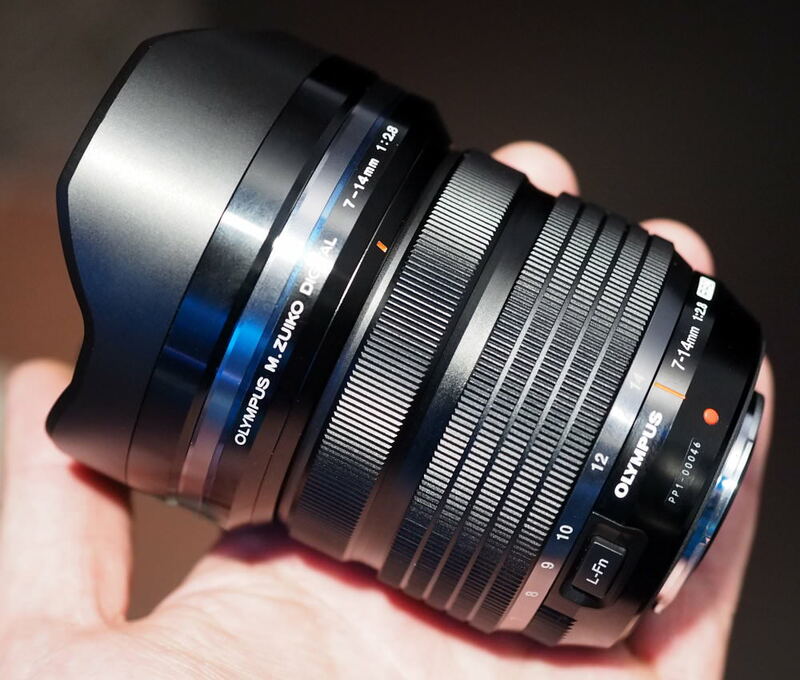 Optically, this lens is currently amongst the best performers available for the Micro Four Thirds format due to its delivery of high sharpness, with low CA and distortion. As well as these plus points, the Leica DG Nocticron 42.5mm f/1.2 ASPH. also features an optical stabilisation system, Nano Surface coatings to suppress flare and a manual aperture ring. It may cost a fair few pennies, but it will be money well spent, especially as the price isn't obnoxious in any way. The Olympus M.Zuiko Digital ED 40-150mm f/2.8 PRO combines great build quality with excellent performance and those two factors alone make it a winner in our eyes. However, when this is combined with the unique zoom range it offers along with the fast f/2.8 aperture, it scores a few more points. Image quality is excellent, the lens handles well and it's not badly priced either. 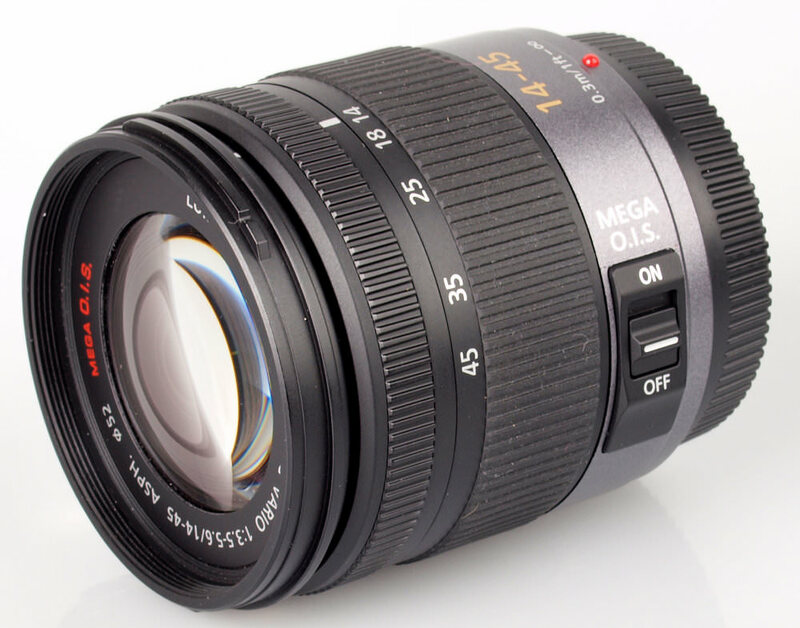 The Sigma 56mm f/1.4 DC DN C offers fantastic performance, superb sharpness in particular, and a reasonable price tag. All round, a very satisfactory and desirable lens. A slight downside is the fiddly nature of some of the mirrorless cameras, with many functions tucked away in menus as opposed to dedicated switches and dials. This is not the fault of the lens though, which handles totally smoothly. But in terms of a fast, short telephoto that is unobtrusive, works efficiently and delivers superb results the Sigma 56mm f/1.4 DC DN C is absolutely an Editor's Choice. When the Sigma 30mm f/1.4 DC DN C lens was put to the test, we were pleasantly surprised to find that under the unassuming exterior was a superb compact lens that really delivers the goods. Even without considering the price, which is a bit of a bargain, the lens is an absolute gem. Sharpness is of a very high order, CA (Chromatic Aberration) is very much under control and flare is not a problem either. 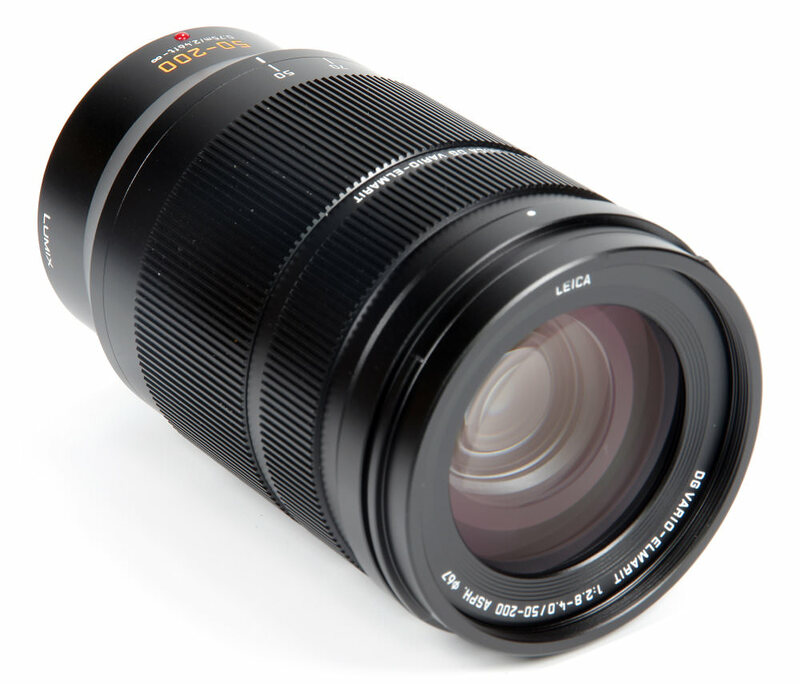 The Leica DG Elmarit 200mm f/2.8 Power O.I.S is a cracking good lens that is highly functional, with a very useful teleconverter that extends the possibilities. Yes, the price hurts, but the alternatives hurt even more. This is such a pleasure to use and the results are just as satisfying, even with the fairly modest pixel count of the Panasonic Lumix G6. A definite Editor's Choice. Panasonic has produced here a telephoto zoom that is exceptionally easy to handle, produces excellent results and is priced realistically against the competition. Compared to full frame marques, it is priced very competitively when we consider what job the lens does. Not only that, but the compact, light construction mirrors the size of the MFT cameras and follows the ethos of the MFT system. It is easy to see the attraction of lighter, smaller cameras and lenses, especially when the quality is still extremely high. So, on various levels, a lovely lens and an Editor's Choice. With a reasonable price, excellent sharpness across the frame from maximum aperture, useful optical stabilisation and life-size magnification at its closest focusing distance, you can't really ask for more. The compact size and light weight will also help make this lens one that will win over many admirers. Panasonic's 35-100mm is a fine lens that is priced reasonably, especially when compared to lenses covering the same angles of view for 35mm format, with the added bonus of being much more compact, and lightweight. Picture sharpness is excellent and chromatic aberrations are kept under control well throughout the zoom range. Distortion is well controlled and we didn't experience any issues with flare when shooting with the Panasonic Lumix G Vario X 35-100mm f/2.8. Combining a compact, lightweight design with great optical performance, the Olympus M.Zuiko Digital ED 60mm f/2.8 Macro lens is positioned at a great price point. 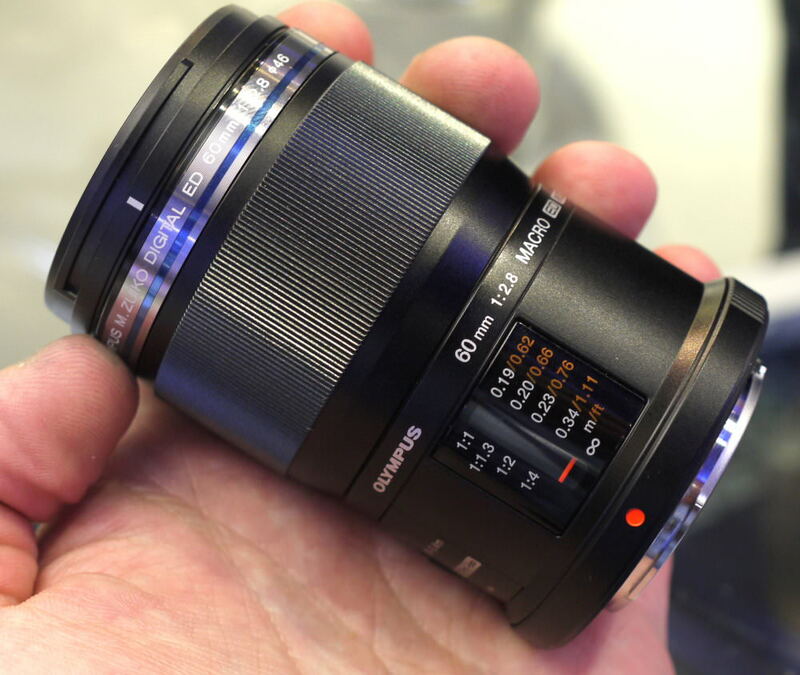 Micro Four Thirds camera owners interested in macro photography should definitely add this lens to their wish list. In fact, even if you have no interest in macro photography, the quality this lens delivers and its price makes it a good option for portraiture fans on a relative budget also. 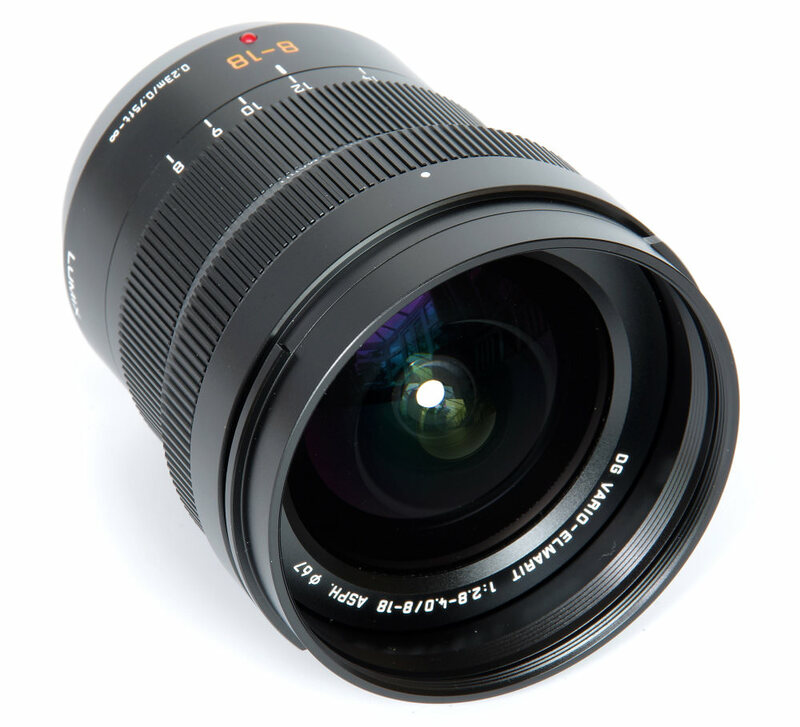 This lens is a very good buy for Micro Four Thirds camera owners who are looking for a dedicated macro lens. It's lightweight, compact, sharpness is excellent from maximum aperture and optical stabilisation works well. 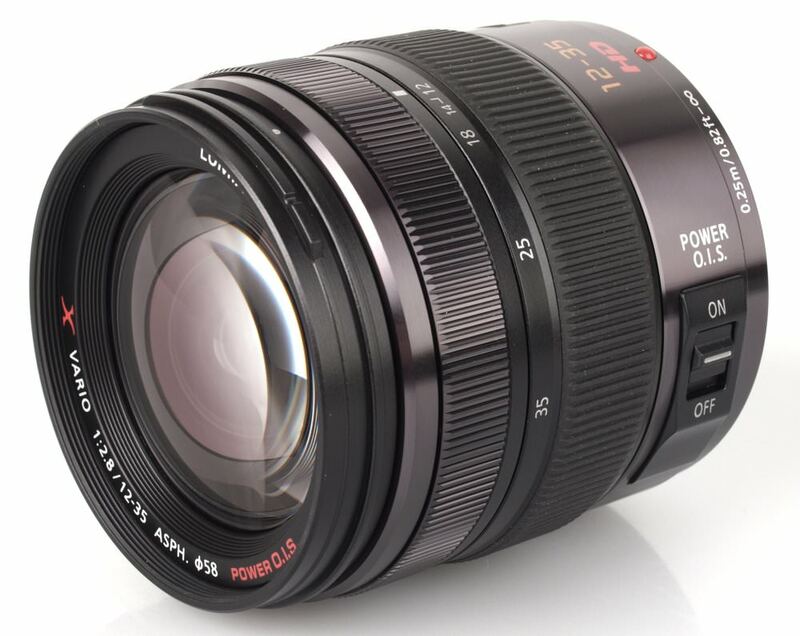 Plus, as the price has dropped, the Panasonic Leica DG Macro-Elmarit 45mm f/2.8 ASPH is even better value for money. 11. 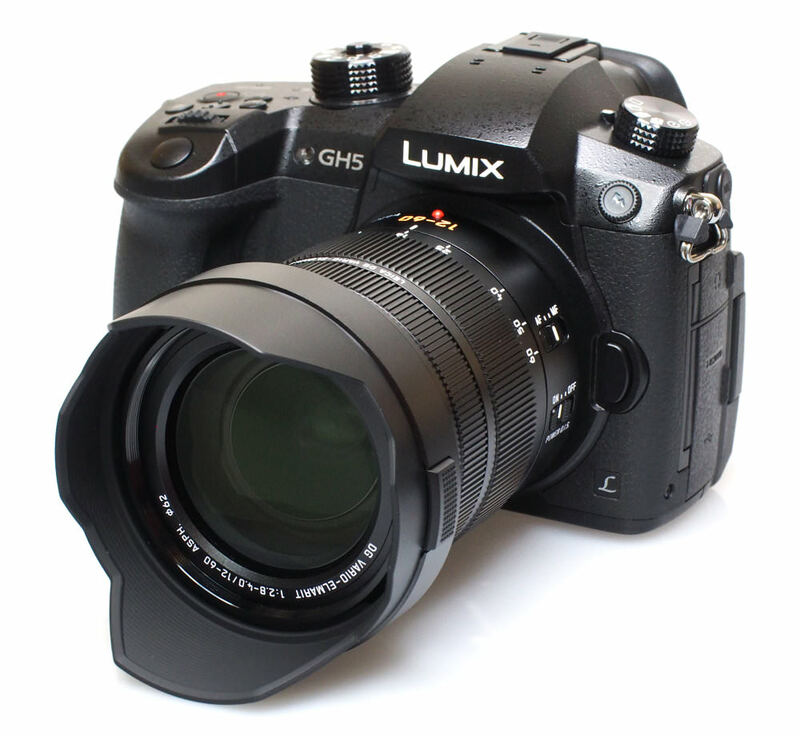 Panasonic Lumix G Vario 35-100mm f/4.0-5.6 Asph Mega O.I.S. Those looking for a compact telephoto lens should certainly add the Panasonic Lumix G Vario 35-100mm f/4.0-5.6 Asph Mega O.I.S. to their list of considerations as it ticks plenty of boxes. Optically it performs better than it's reasonable price tag suggests it should and it's compact enough to be barely noticeable in a camera bag when travelling. Sharpness levels are excellent and chromatic aberrations are pretty well controlled throughout most of the zoom range. Falloff of illumination towards the corners is fairly typical for a lens of this type and the petal-shaped hood does an excellent job of shielding the lens from extraneous light that may cause issues with flare. 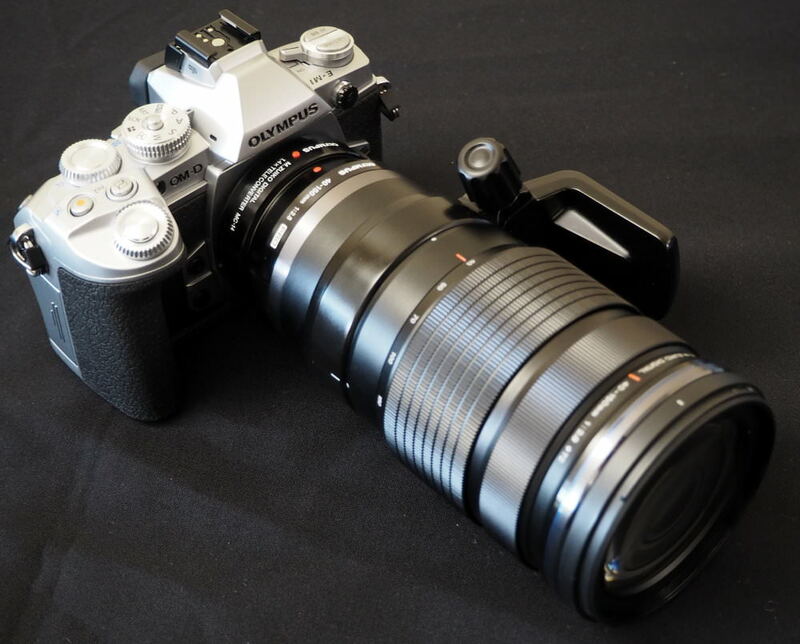 There is no doubt that the Olympus M.Zuiko Digital 45mm f/1.2 is a superb lens and one that would be a pleasure to own. The factors that come with that really more concern the cost, which is fairly high, and the applications that a photographer might have in mind. A 90mm-equivalent lens is a very useful optic for portraits, landscapes, short-range sports and architectural details. With perfect drawing, the architectural uses are probably as relevant as the potential for portraits. It will be an easy decision for those with the cash ready or those who have commercial use. With a robust, dust- and splashproof construction, this lens is ready for all eventualities. As well as its strong build, the lens also offers outstanding sharpness through much of the zoom range at maximum aperture, chromatic aberrations are well controlled throughout most of the zoom range and distortion is well corrected in camera. 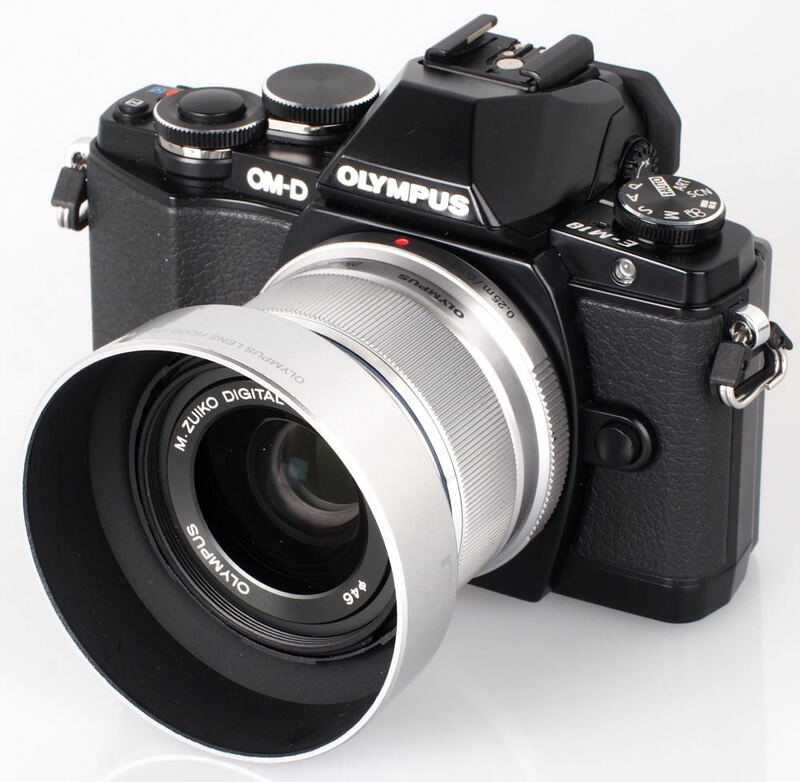 A petal-shaped hood is supplied with this lens but even without the hood, the Olympus M.Zuiko ED 12-40mm f/2.8 PRO is very resistant to flare. 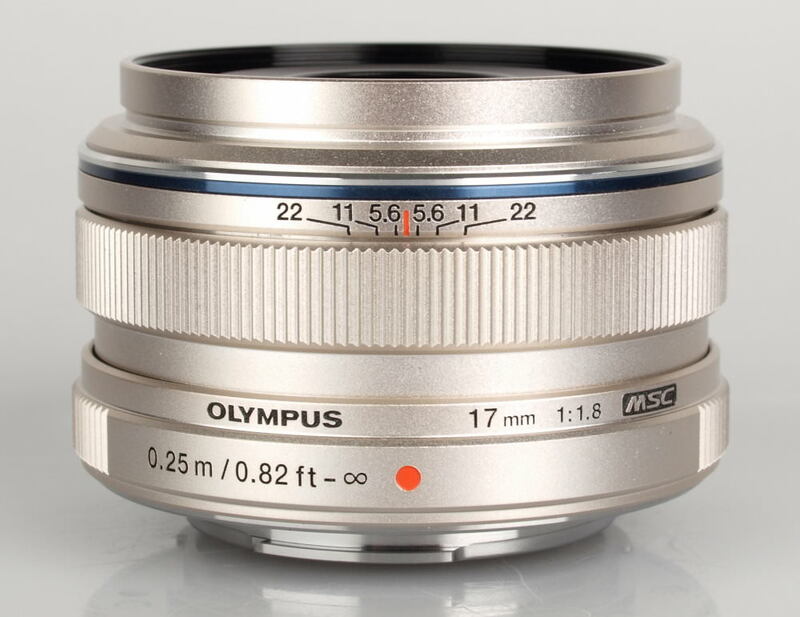 The image quality of the Olympus M.Zuiko 25mm f/1.8 ED offers is excellent, with sharpness being particularly good in the centre of the frame from maximum aperture. It's well built, lightweight and reasonably compact so it's not that noticeable when carrying it around in a camera bag but some may consider the price a sticking point for what is, essentially, a 50mm f/1.8 equivalent. Chromatic aberrations are well controlled as too is falloff of illumination, distortion and flare. 15. 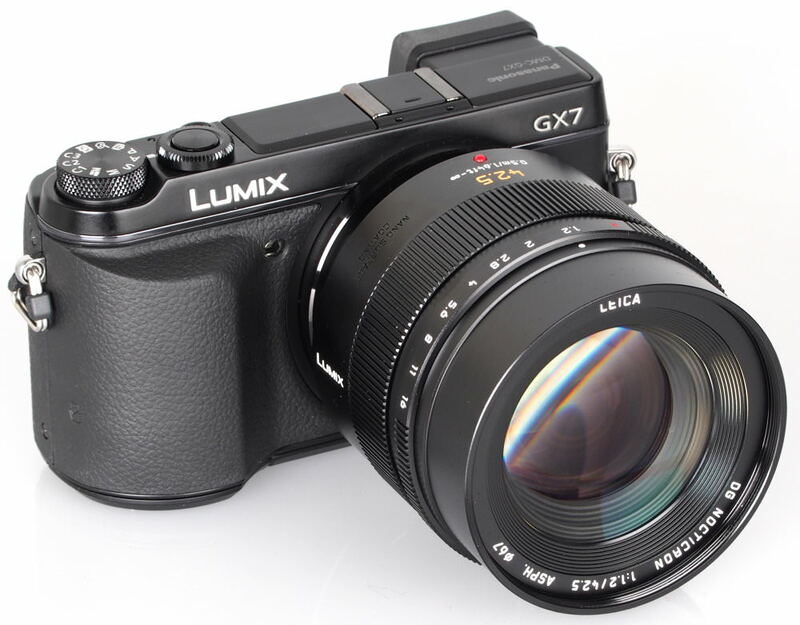 Panasonic LUMIX G 42.5mm f/1.7 ASPH. There's little to find fault with this lens as sharpness is outstanding from maximum aperture. Falloff, distortion and fringing are all also well controlled and Panasonic camera owners will appreciate the optical stabilisation it offers. 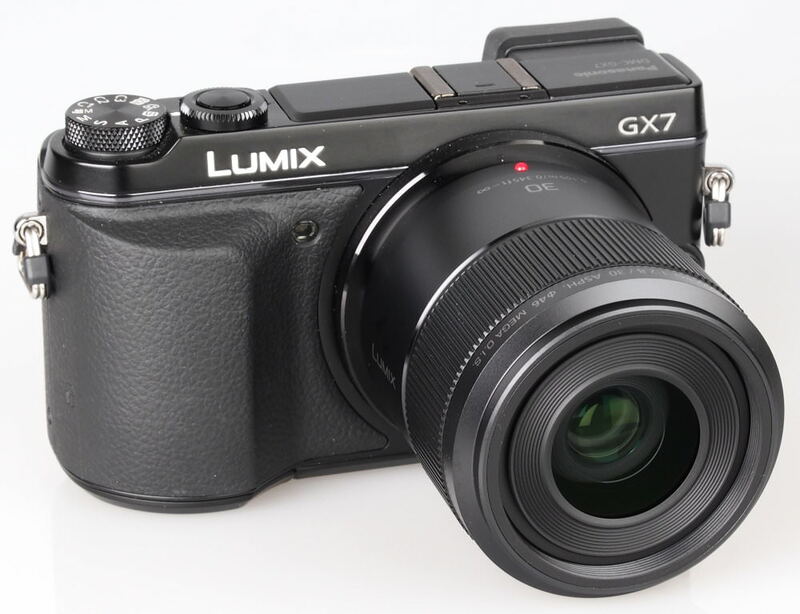 Build quality is excellent and the Panasonic LUMIX G 42.5mm f/1.7 ASPH. is also lightweight which is always a plus point. Whether this lens is fitted to A Sony NEX, or Micro Four Thirds camera, the telephoto focal length and fast f/2.8 maximum aperture make this optic a perfectly good lens for portraiture for not a lot of money. Sigma hasn't skimped on build or optical quality and it is capable of delivering pin-sharp results from maximum aperture. Build quality of the Sigma 60mm f/2.8 DN A lens is very good so when you combine this with its excellent performance, it's a worthwhile investment. The Panasonic Lumix G X VARIO 12-35mm f/2.8 is a weather-sealed professional spec zoom lens that delivers sharp, contrasty images that have low CA and distortion. Focusing is fast and the optical image stabiliser allows sharp hand held images to be taken at shutters speeds as low as 1/10sec at 35mm, which is roughly three stops slower than the usual rule of thumb would allow otherwise. For a kit lens, the Panasonic Lumix G Vario 14-42mm f/3.5 - 5.6 II actually performs really well. There's excellent sharpness in the centre throughout the zoom range and optical image stabilisation allows sharp shots to be taken just over half the time at 1/10sec at 42mm, which is roughly three stops slower than the usual rule of thumb would dictate. Those with existing Panasonic optics may also find the compact size and manual zoom control appealing. 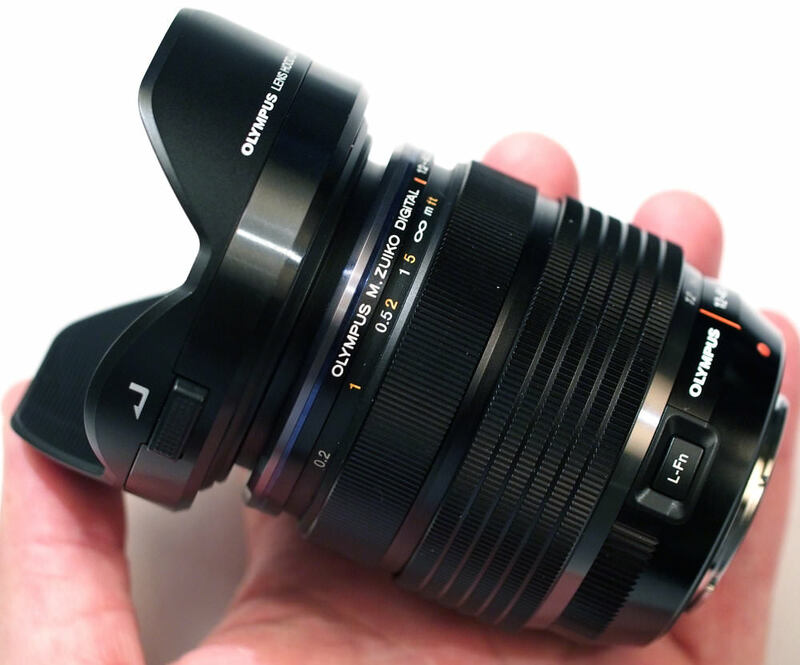 This compact lens should make an ideal addition to any Micro Four Thirds or Sony NEX camera kit. 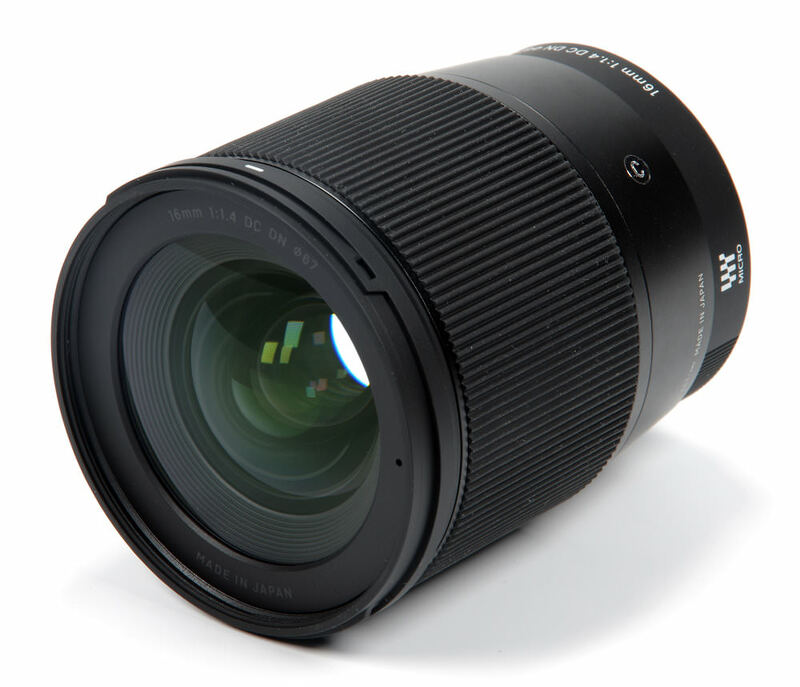 The Sigma 19mm f/2.8 DN A Art M43 is lightweight, compact and offers excellent optical performance. Couple this with fast focus speeds and good build quality and you're on to a winner. 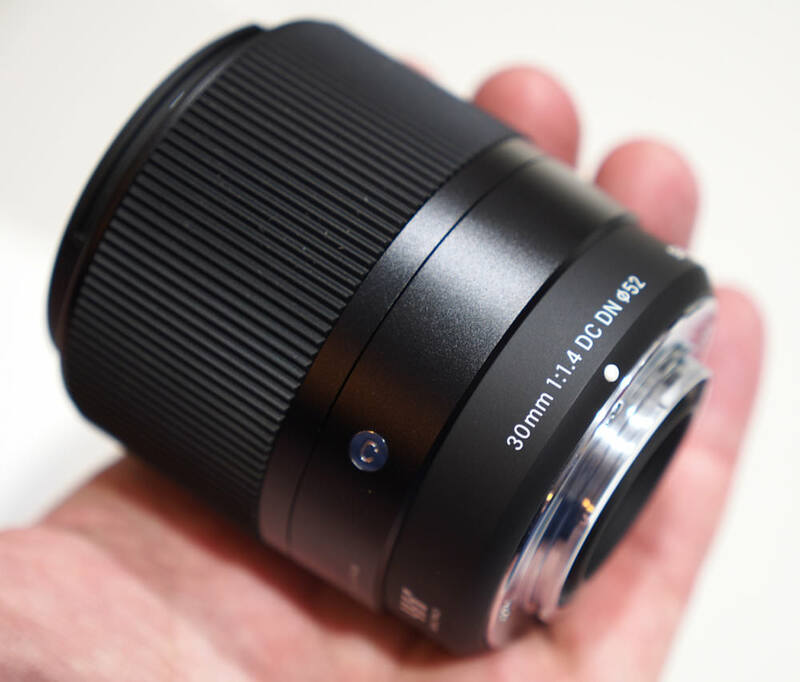 The lightweight, fast autofocus and excellent build should win the Sigma 30mm f/2.8 EX DN A lens many fans, especially with the price being so competitive. The lens is capable of producing excellent images, even at maximum aperture, and overall, it's a really excellent lens to add to your kit bag. This lens should definitely find a home in Micro-Four-Thirds camera owner kit bags as the levels of sharpness it offers make it very good value for money. In fact, those looking for a moderately wide angle lens with a fast maximum aperture have hit the bullseye with this lens. Autofocus is quick, precise and virtually silent and distortion is so low, it shouldn't pose any issues. 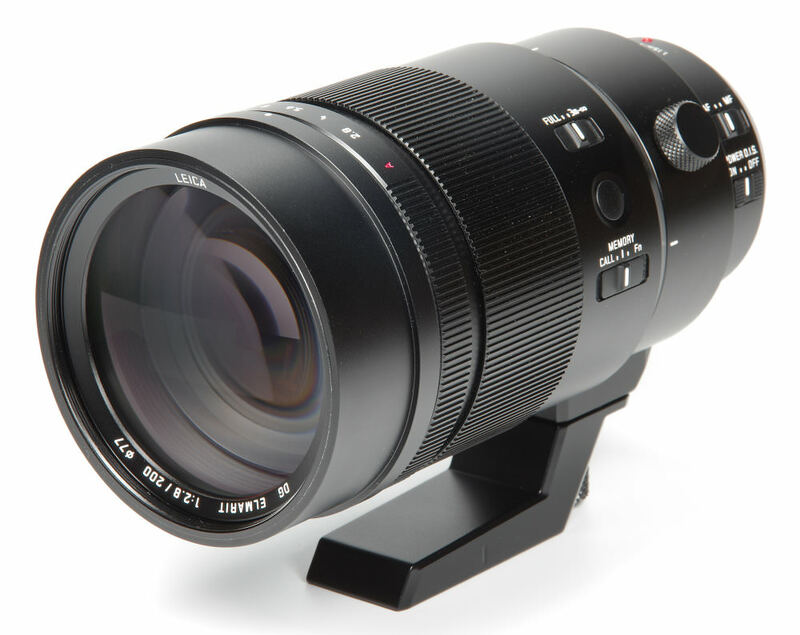 This premium compact telephoto lens sports a fast f/1.8 maximum aperture and is compatible with all Micro Four Thirds cameras. 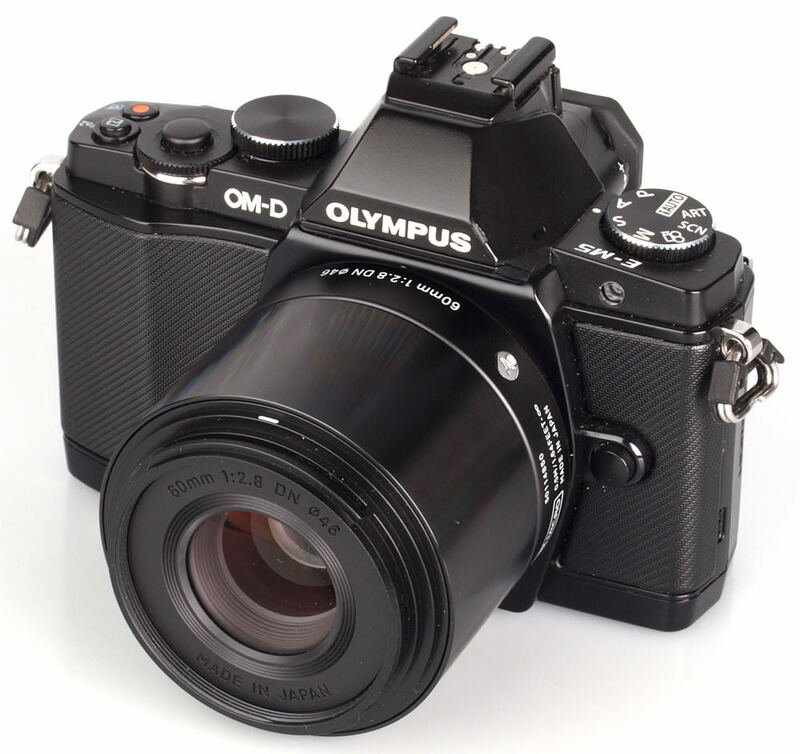 The Olympus M.Zuiko Digital 75mm f/1.8 provides a field of view equivalent to a 150mm lens used on a 35mm camera, and the bright f/1.8 maximum aperture allows your subject to be isolated with shallow depth of field. It's well built, incredibly sharp and is a joy to use. 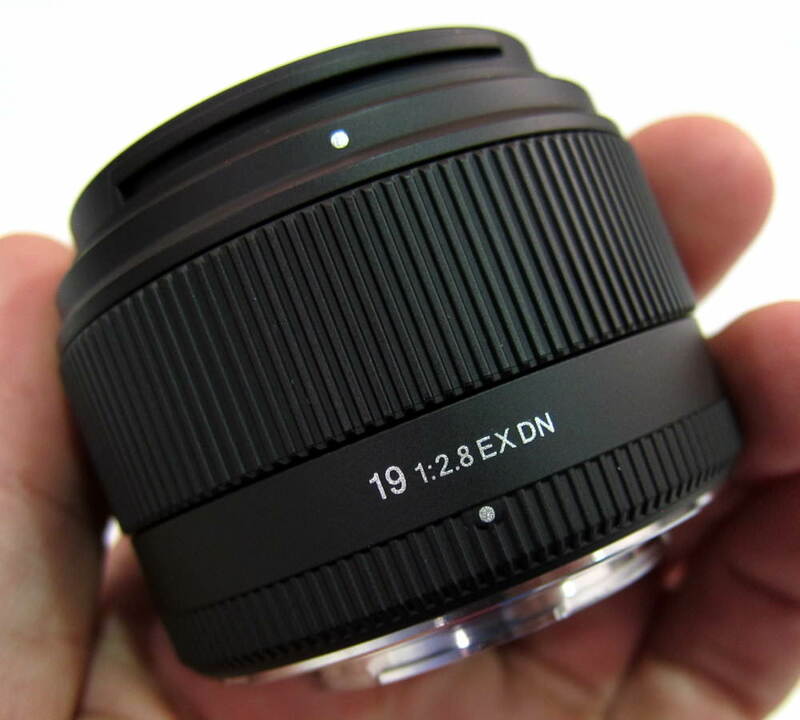 The Sigma AF 16mm f/1.4 DC DN Contemporary lens gives excellent performance, a reasonable price and a very bright f/1.4 maximum aperture, which all add up to a very desirable package, that will be appealing for both Micro Four Thirds and Sony E-Mount photographers. 24. 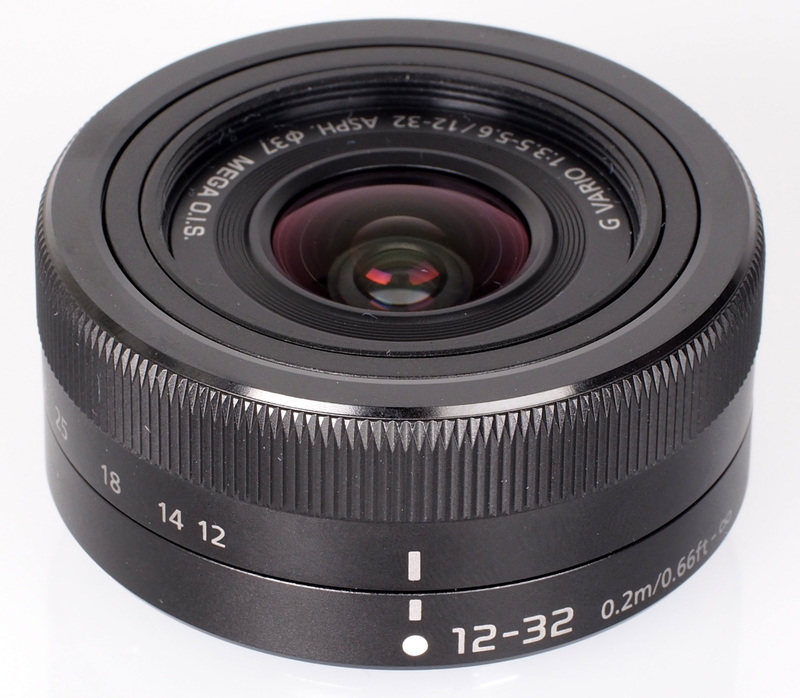 Panasonic Leica DG Summilux 12mm f/1.4 ASPH. The Panasonic Leica DG Summilux 12mm f/1.4 ASPH. produces images that can only be described as fantastic. The overall level of sharpness is very good and becomes outstanding at the centre over most of the aperture range. No lens is perfect, but we have here a very exciting prospect for MFT format users with a lens that provides a unique bright f/1.4 aperture and excels at producing superb images. During testing, this lens proved itself worthy, by delivering images with outstanding sharpness, whilst handling well and sporting a robust dust and moisture resistant construction. The lens may be a little prone to flare, but given the extreme angle of view on offer and the compact size of the lens, this flaw may be something many will be able to forgive. 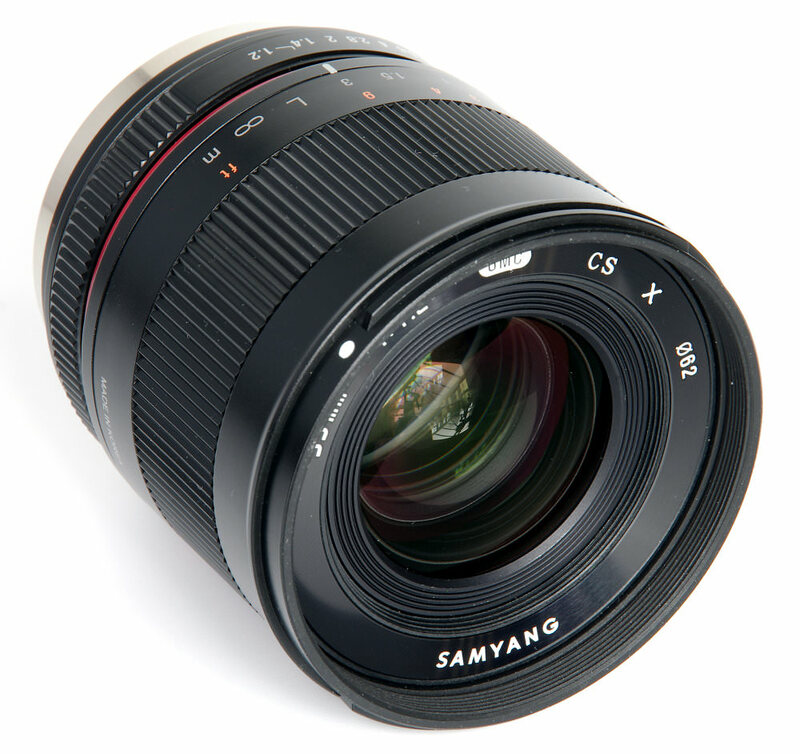 The Samyang 12mm f/2.0 NCS CS MFT is an excellent optic that produces images with excellent sharpness, low distortion and low CA. It's incredibly well priced and even though it lacks autofocus, this shouldn't put you off purchasing it. The lens is also really well built which is always reassuring when in use. 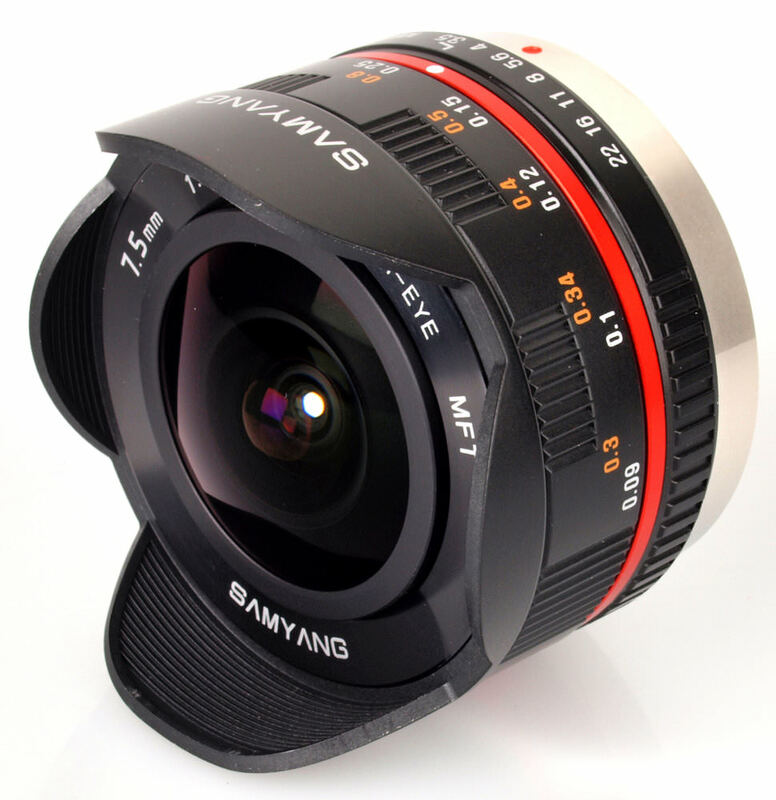 The Samyang 7.5mm f/3.5 UMC Fisheye has to be praised for a number of things but the standout pro point is the price as it represents excellent value for money. The lens produces sharp images and is built really well, plus it's relatively easy to use manual focus due to the huge depth of field provided and the lens has low CA for a fisheye. 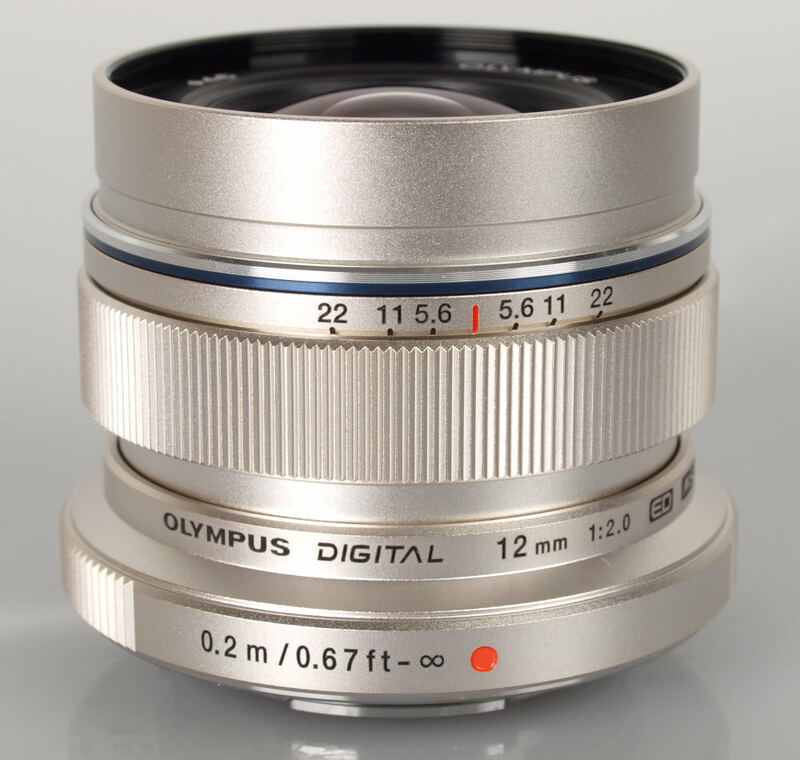 Don't be put off by the rather reasonable price of the Olympus 45mm f/1.8 Zuiko Digital Micro Four Thirds lens as it's actually a very good lens. It focuses quickly and is capable of producing outstanding levels of sharpness. 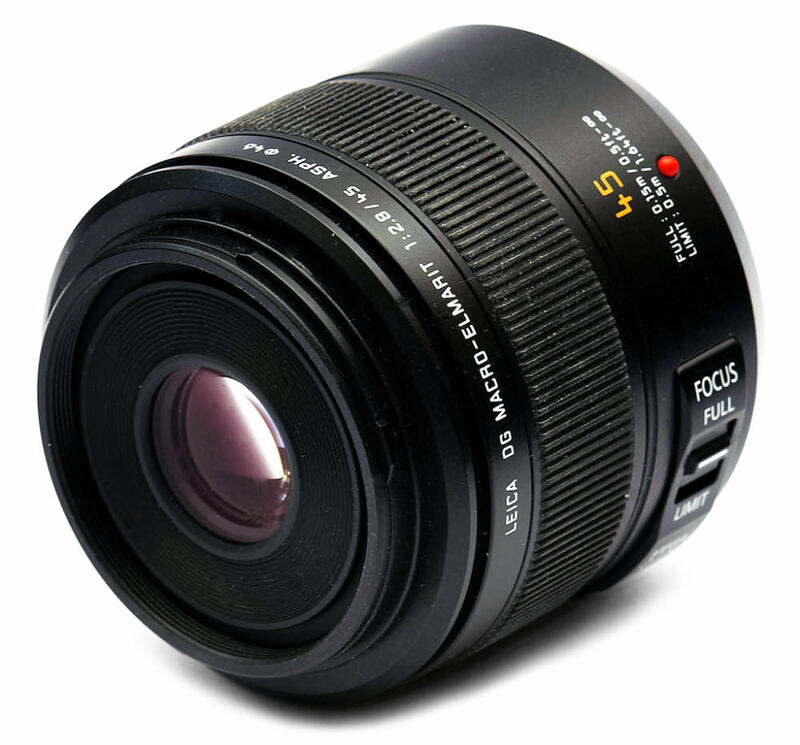 Those looking for a fast aperture prime lens for portraits, photography in low light, or for greater control over depth of field will not be disappointed with this lens that's also lightweight and built really well. 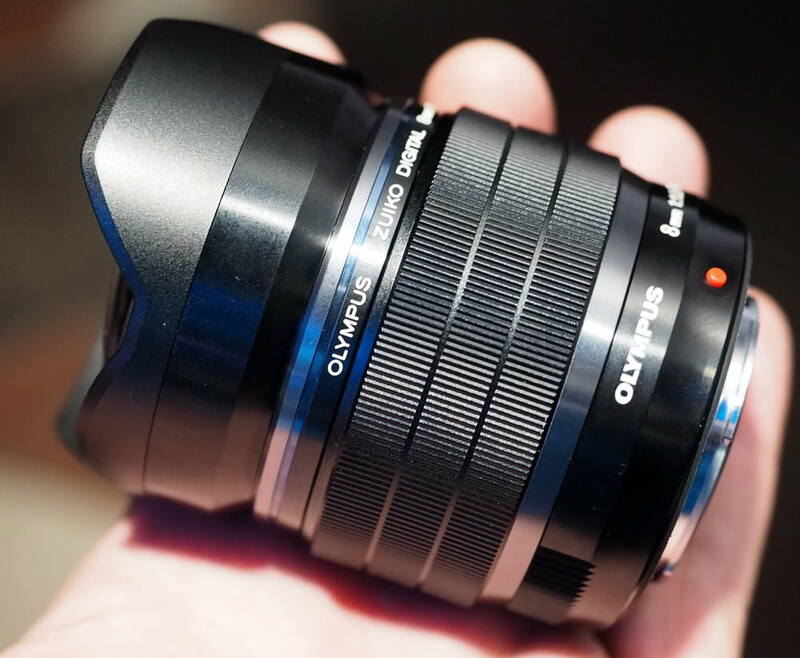 The Olympus M.Zuiko Digital ED 12mm f/2.0 is a dinky lens which packs a lot of punch. Its size and performance at fast apertures make it perfect for street photography and the wide aperture is very useful for taking images in low light conditions. Build quality and optical performance can only be described as 'premium' and the price isn't too bad either. The Panasonic Leica DG Vario-Elmarit 12-60mm f/2.8-4.0 ASPH lens is available with the new Panasonic Lumix GH5, or on its own, and offers a versatile all-purpose Micro Four Thirds zoom, with a bright f/2.8-4.0 aperture. The lens is also weather-sealed, with an effective optical image stabilisation system. 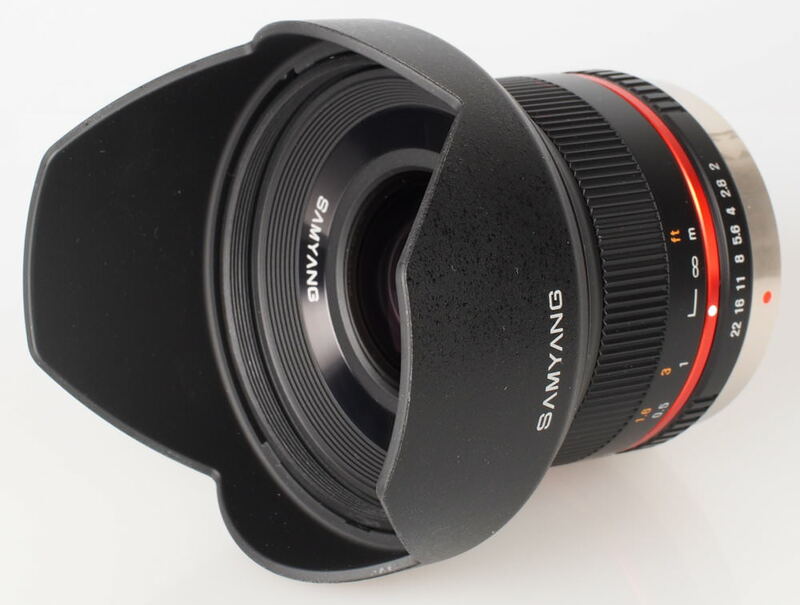 The Samyang 35mm f/1.2 ED AS UMC CS manual focus lens is suitable for all APS-C mirrorless cameras, including Micro Four Thirds, giving a 70mm equivalent, and a bright f/1.2 aperture. 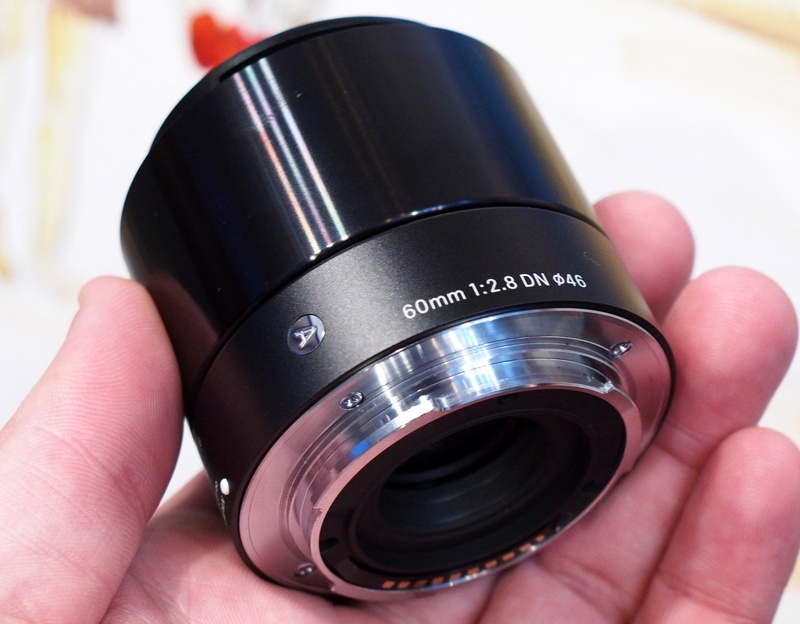 The lens scored well in our review, offering fantastic performance at a very reasonable price. 32. 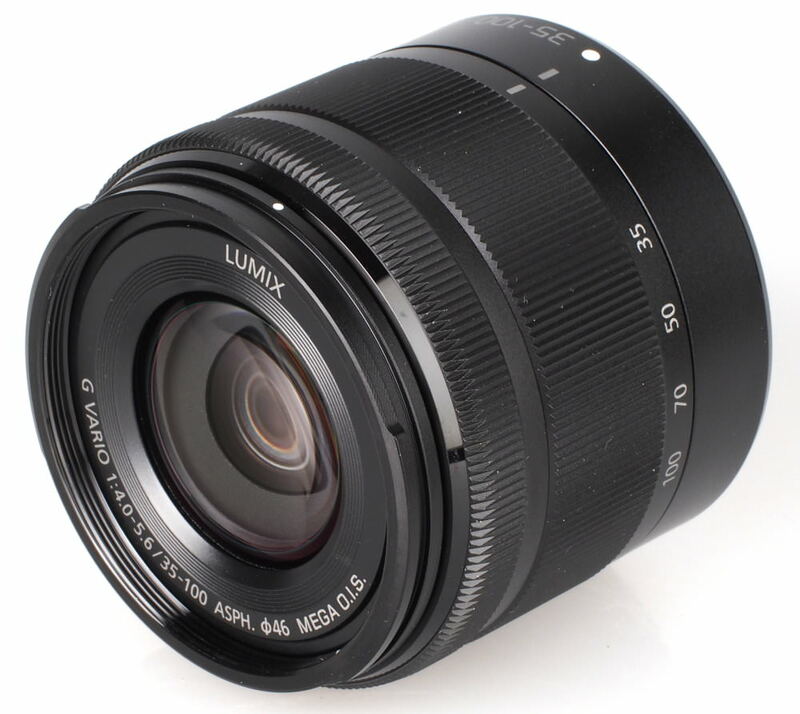 Panasonic Lumix G Vario 12-32mm f/3.5-5.6 ASPH. 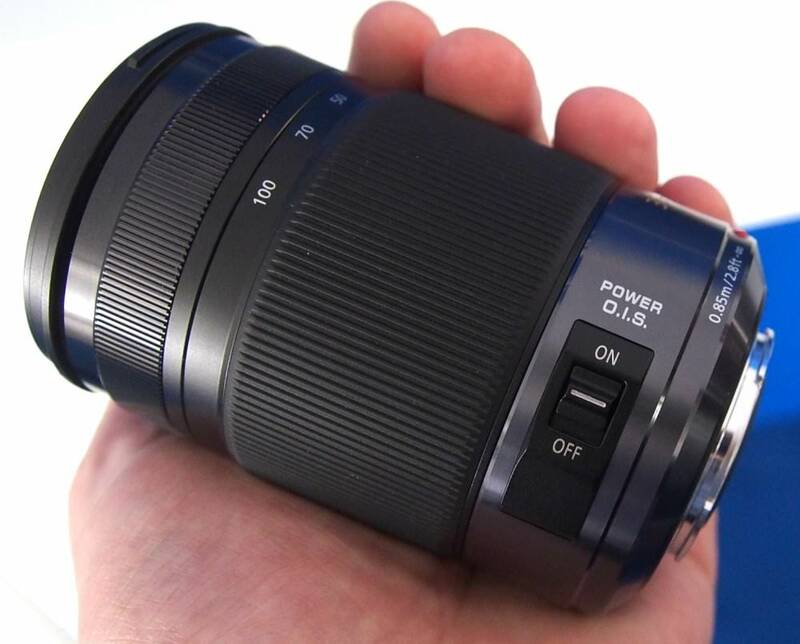 Panasonic has just got everything right with this lens. 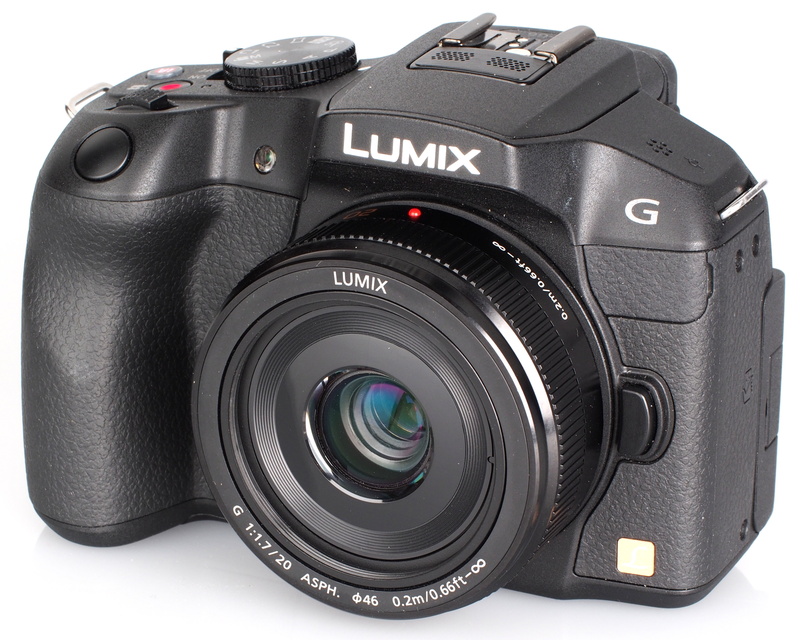 The Panasonic Lumix G Vario 12-32mm f/3.5-5.6 ASPH. is sharp, lightweight, compact, nice to use and not too expensive. Some people may find the lack of a manual focus ring is not for them, but even so, it's difficult to not be impressed by this little lens. Sharpness is excellent throughout the zoom range and optical stabilisation performs well. There's a little problem with CA at 12mm but the good build quality and excellent overall performance make this lens a worthy contender. The market for f/1.2 standard lenses gives a very limited choice, especially if AF is required. 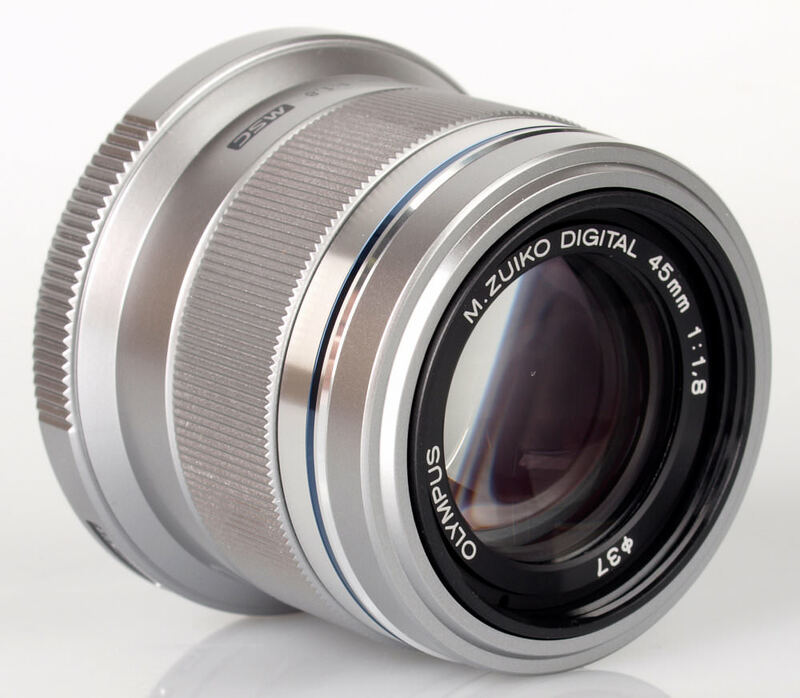 However, we have here in the Olympus M.Zuiko Digital 25mm f/1.2 PRO lens more than just a bright maximum aperture. It is a very fine lens in its own right, with an excellent sharpness that borders on outstanding, low CA, no flare and a very pleasing bokeh. Add to that the low light potential and we have a very attractive proposition indeed. All in all, a lot of thought and skill has gone into this lens and it is certain to find favour amongst Olympus MFT sports and wildlife photographers. 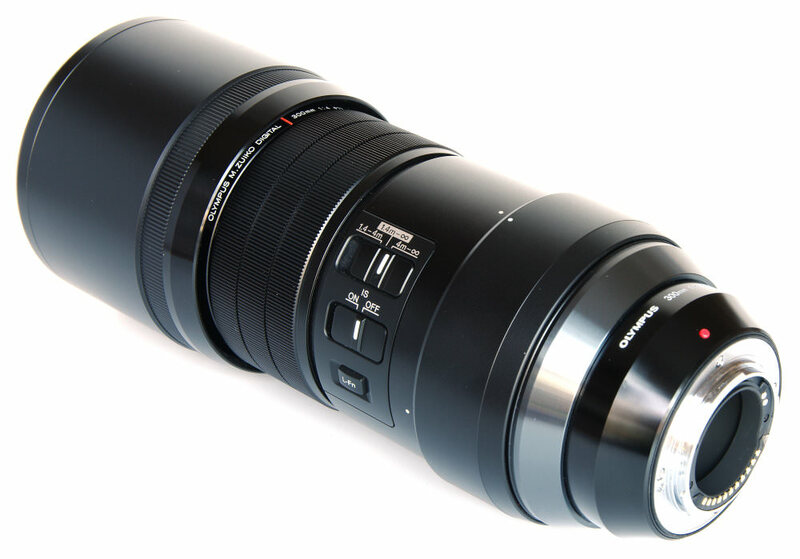 The Olympus M.Zuiko Digital ED 300mm f/4 IS Pro is compact, relatively lightweight and has excellent ergonomics. Picture quality is superb and outstanding sharpness combined with fast and silent AF, a highly effective IS and very well controlled CA make this lens an excellent choice. 35. 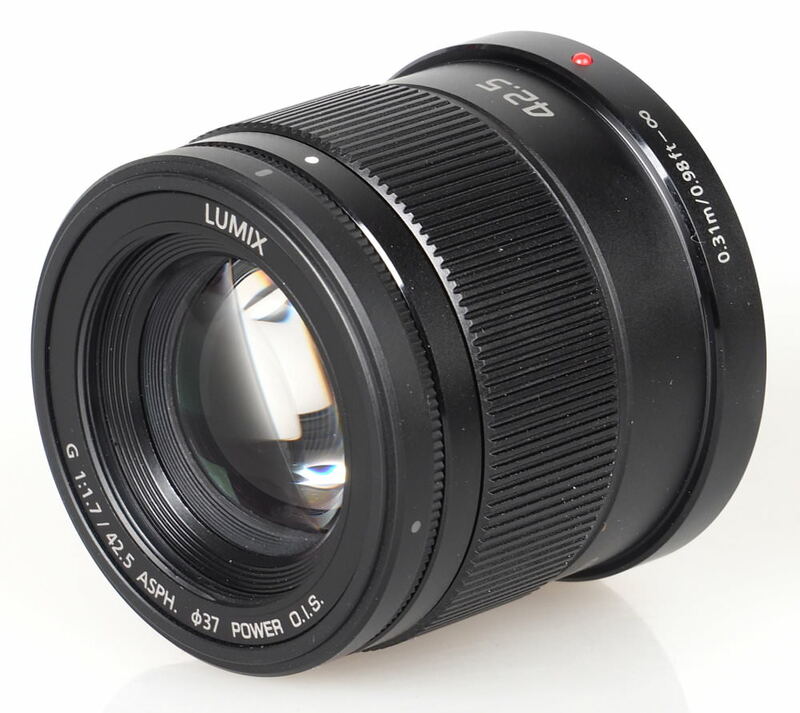 Panasonic Leica DG Vario-Elmarit 8-18mm f/2.8-4 ASPH. 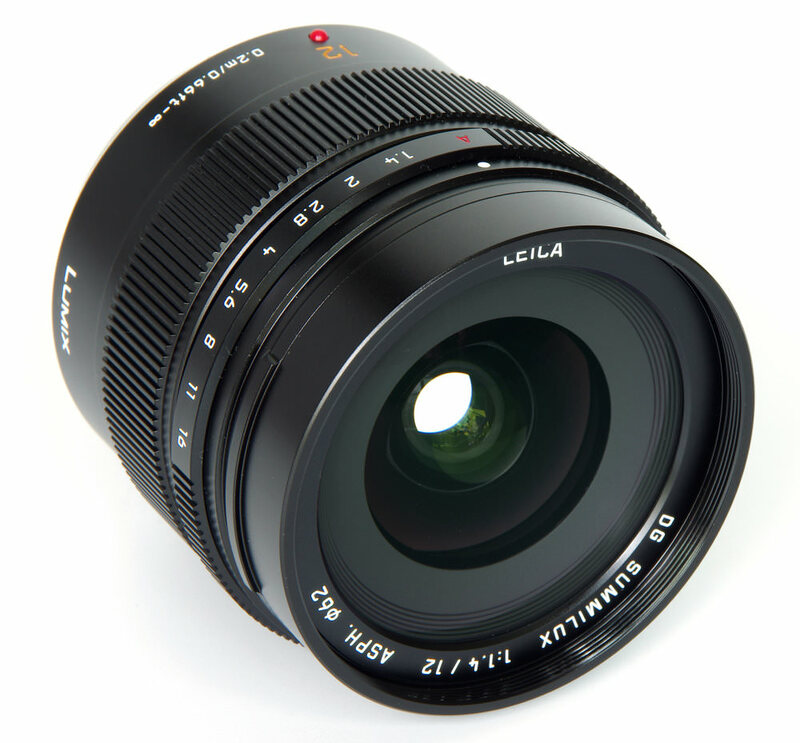 The Panasonic Leica DG Vario-Elmarit 8-18mm f/2.8-4 Asph. is a pleasure to use, but the greatest pleasure is arguably in the outstanding sharpness, giving a real punch to images. The pleasure extends to enjoying fine engineering as well, because there is the high quality of the construction and finish to enjoy for its own sake. In summary, this lens lives up to its Leica tag and should serve very well for many years of use. 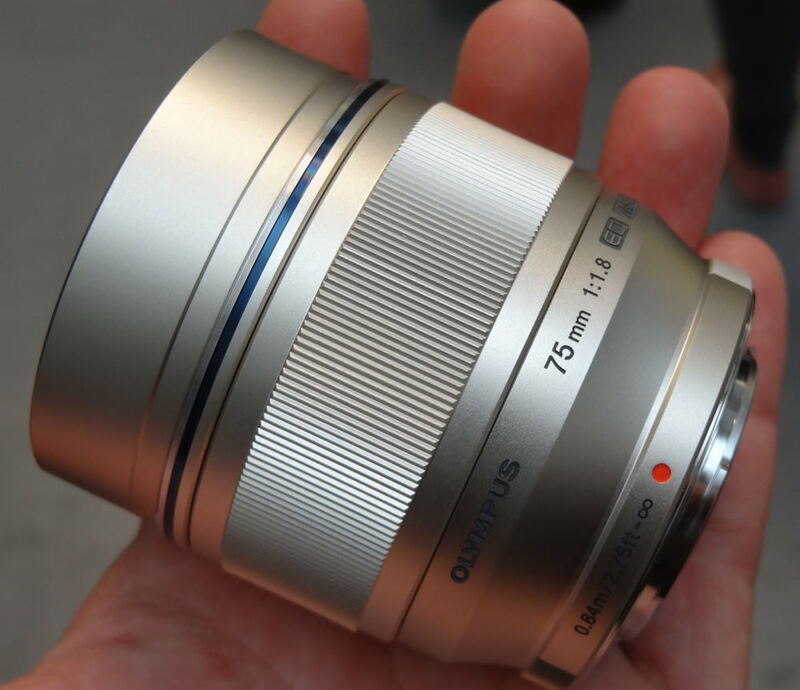 By producing a diagonal fisheye lens with a fast f/1.8 maximum aperture, Olympus has created something unique. Not only will the fast aperture allow for shooting in low light conditions with the expansive field of view you'd expect of a fisheye, but it also delivers outstanding sharpness and robust build in a compact package. 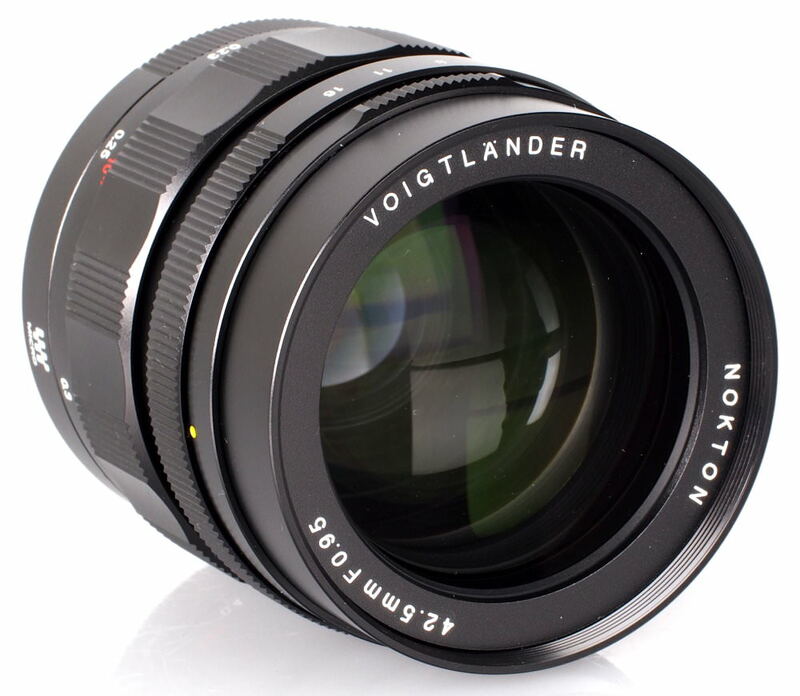 The Voigtlander Nokton 42.5mm f/0.95 is capable of delivering images of exceptional quality, as well as opening up extra creative opportunities due to the shallow depth of field possible at such fast apertures. It's built well, handles well and although it is a specialist lens, it will be worth every penny of the asking price to those who will make the most of this lens' features. 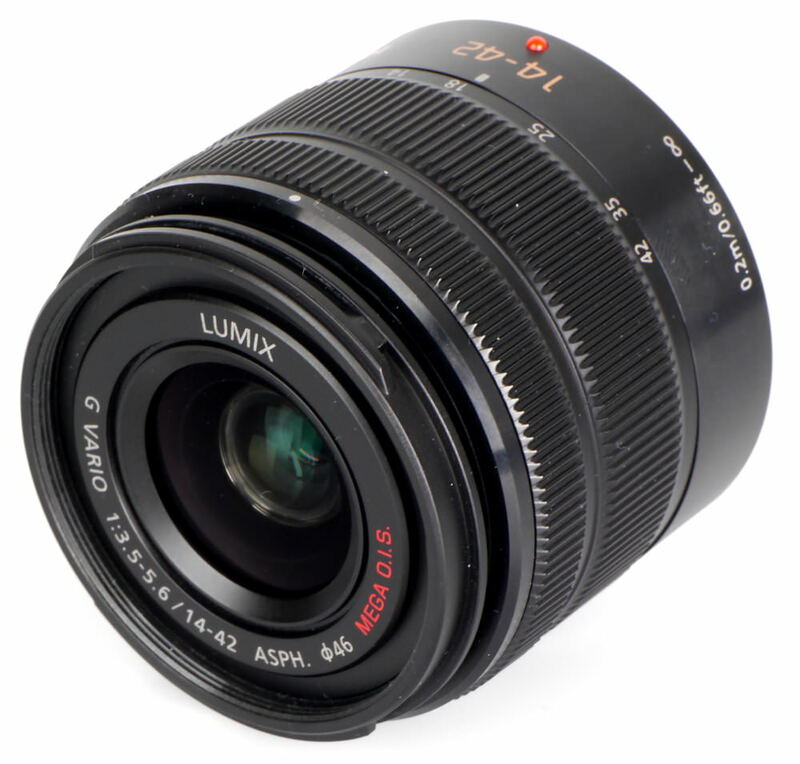 An update to the original Panasonic Lumix 20mm f/1.7 ASPH. lens, the new model offers the same optical performance as the original lens, but features a new design, including updated metal design, improving over the plastic parts on the old model. There's a very slight improvement in resistance to flare, as well as a contrast and the redesign has also improved the position of the surrounding plastic closest to the lens. With the same excellent image quality, reasonable value for money, and compact size, this new model should be just as popular as the original and is an excellent choice for Micro Four Thirds users. Overall, the Panasonic Lumix G Vario 14-45mm f/3.5-5.6 is an all-around good performer and it produces sharp images with a good level of contrast. CA levels are low, distortion is very well controlled and flare is rarely an issue. The lens is also pretty good value for money. 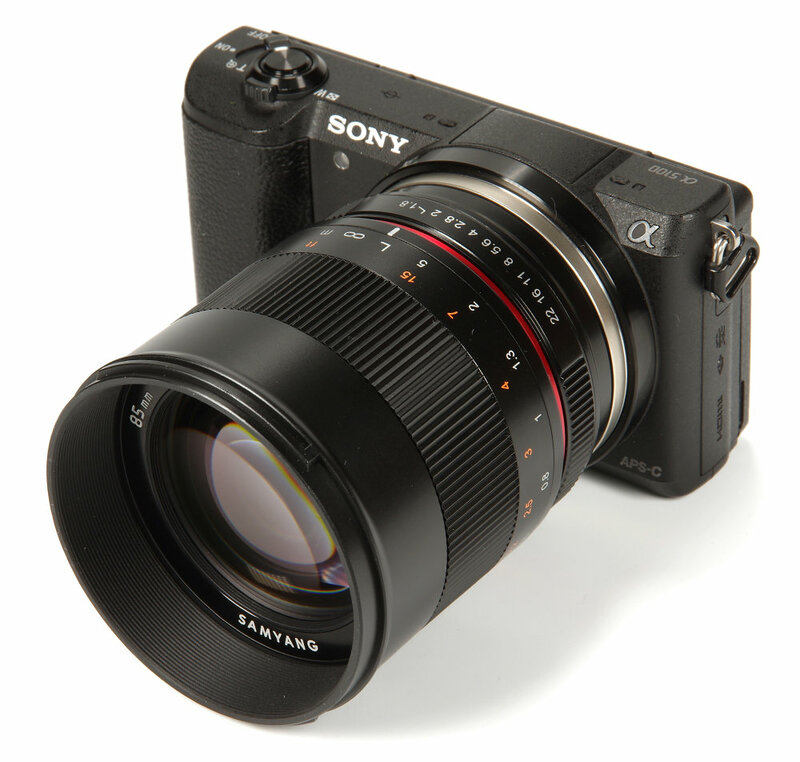 This lens is a manual focus lens, and also available for almost all lens mounts, with support for full-frame lenses, so is likely to be large on a Micro Four Thirds camera. The lens is well made, has a very high standard of performance, and a reasonable price tag. 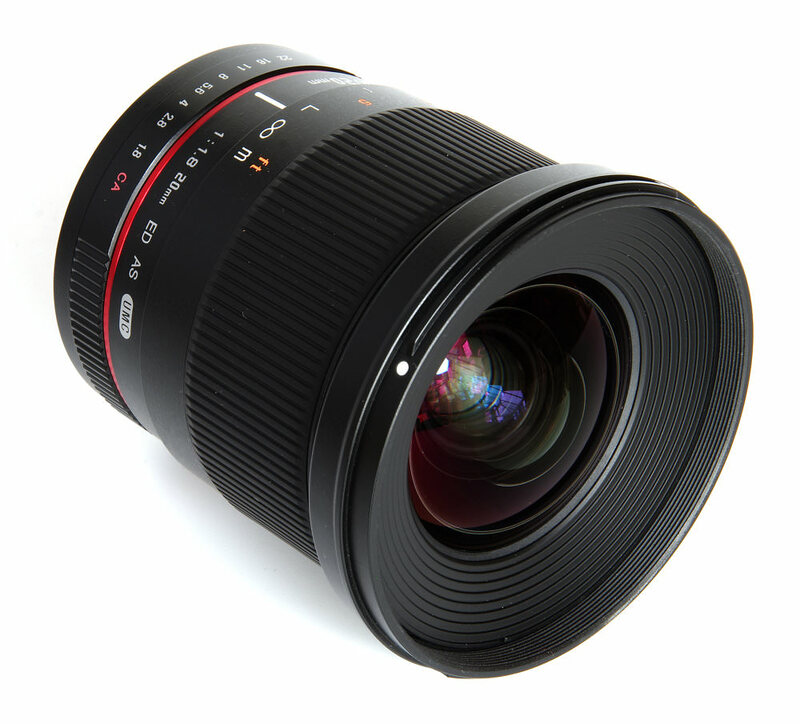 Without a doubt, the Samyang 20mm f/1.8 ED AS UMS adds up to being a very good deal. 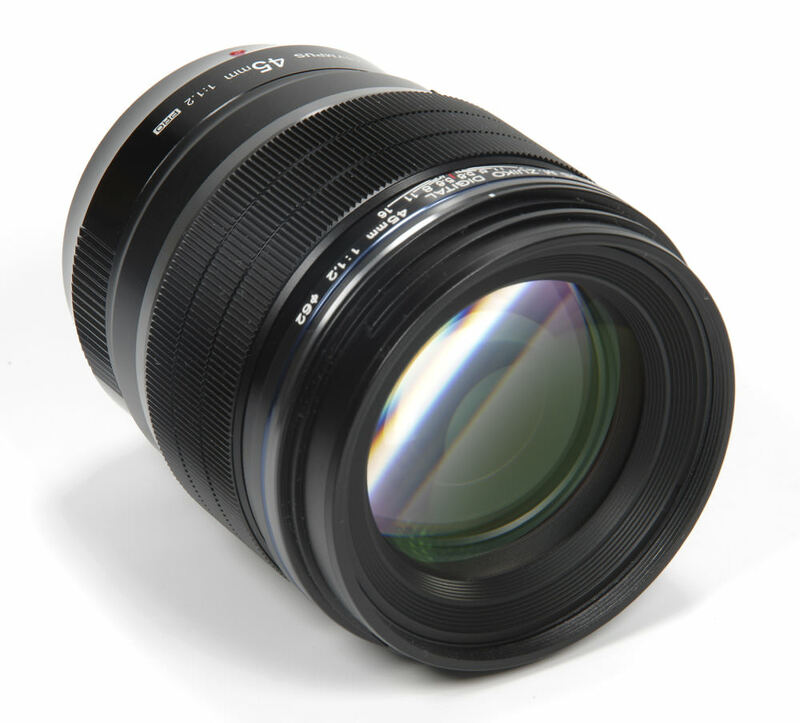 There are so many excellent lenses, and the Samyang MF 85mm f/1.8 ED UMC CS is another one. Fantastic quality, very nicely made, excellent price, compact and light… the only thing not to like is that focusing can be a bit tricky. However, to be fair, this depends also on the actual camera used. If used on a tripod with careful, magnified focusing, then the results possible from this lens are exemplary. To find even more lenses recommended by ePHOTOzine, have a look at our top lists and reviews so you can make a more informed decision before spending your money. 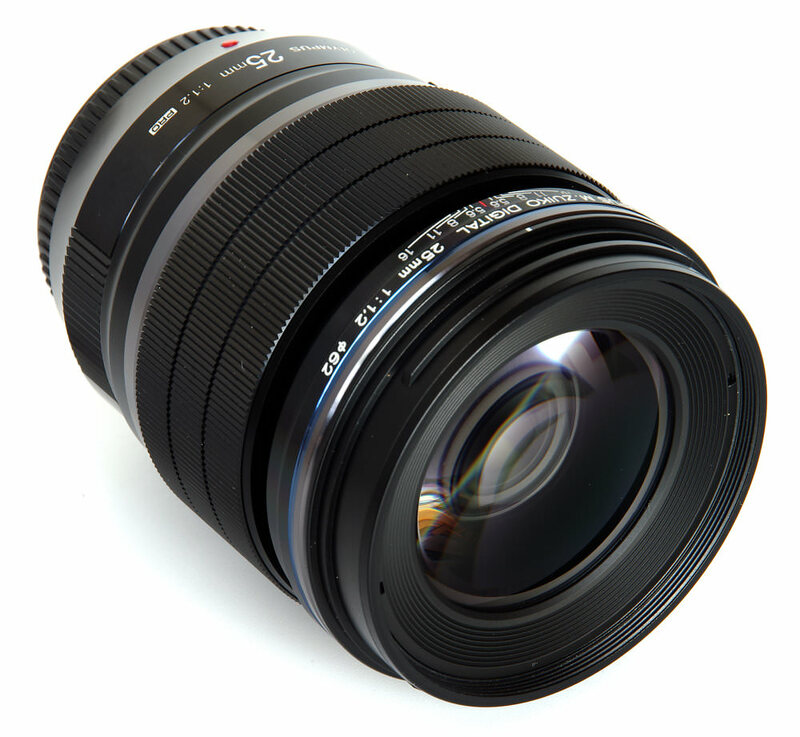 If you want to spend a little less cash, we also have a 'top budget MFT lenses' list for you to peruse.